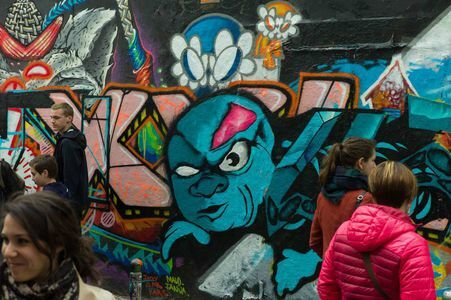 Take in some of the highlights of Paris's thriving street art scene on this self-guided walking tour of the most interesting neighborhoods in the city. Learn about the different techniques and the many artists that are transforming the French capital. 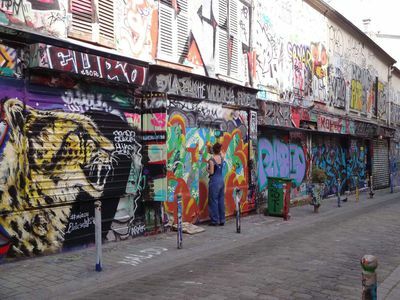 On this 90-minute tour in 2 different arrondissements, an app will show you highlights of Paris's street art scene, which has been rapidly expanding in recent years. Discover pieces including ephemeral art, and learn about the different techniques employed by the artists, including stencils, graffiti and posters. During this guided walk you’ll explore parts of the 19th and 20th arrondissements and visit the main street art sites in the French capital. Passing through Belleville, you’ll cross the rue Denoyez and admire its impressive space with graffiti-covered walls. See another side of Paris on this fascinating glimpse into the city’s thriving urban art scene.